How good does that sound? It was as good as it sounds too! 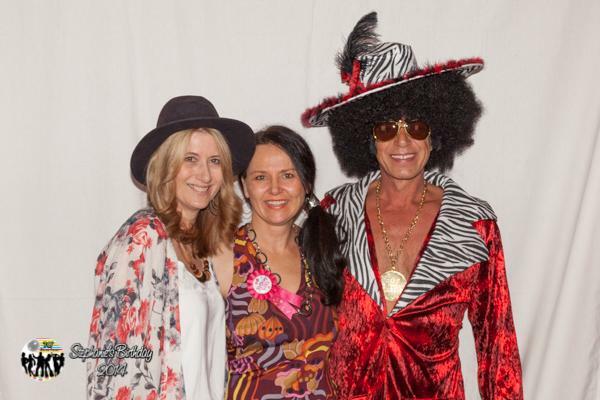 Dressed up in fabulous 70’s fashion, a whole heap of generous folks joined our long time supporter, Stephanie Gill, in celebrating her 50th! All 50th’s are special, but this one was just that little bit more special. Why you ask? Because Stephanie turned HER big night into a fundraiser for us. 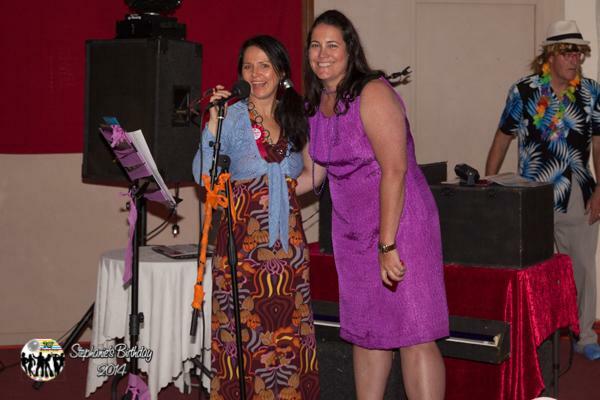 Instead of gifts she asked her friends and family to donate $1 per her every wonderful year on earth to come to the party where all the funds received were donated back to our charity. WOW how fabulous is that?! Stephanie’s guests were provided with drinks and great food all night, and this was all due to Steph’s generosity! Not one cent from the partygoers payments was touched and and as a result, Stephanie donated over $2100 to Play for a Cure Foundation. When Steph tells the partygoers how much she has raised for our charity! Fantastic!! We are beyond excited and absolutely grateful for this wonderful kind gesture. Stephanie you are certainly one of a kind and we love that you love us! For all the fabulous photos from the night, click here -with thanks to the equally fabulous Rose Darroch! The wonderful Stephanie (centre) with some funky 70 ‘s dudes! This entry was posted on Friday, October 3rd, 2014 at 12:02 pm and is filed under 2014, Previous Events. You can follow any responses to this entry through the RSS 2.0 feed. You can leave a response, or trackback from your own site.